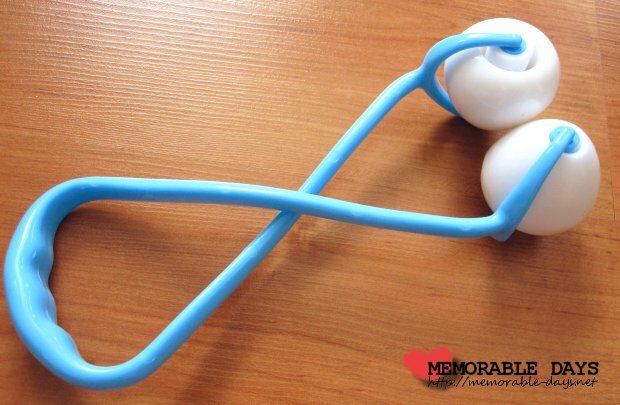 Massage rollers improves blood circulation | Memorable Days : Beauty Blog - Korean Beauty, European, American Product Reviews. I recently bought a massage roller for my belly and waist which improves the blood circulation. Besides, it will also make the belly and waist a bit slimmer. Well, does it really work....? I actually have no idea.. I have been using this massage roller for a week now, every day for 6 minutes, no results are visible yet, so I'm still testing it out. Have you tried any massage rollers before, did it work on you? The packaging looks ok, it has Chinese words everywhere and there is an English product description at the back. Haha can you spot the misspelling at the product description on the packaging? I actually bought this product because I saw it in a Bubzbeauty video and she talked about this massage roller once on Blogtv. She uses this on her face, while it's actually for your belly and waist o___O". Also, Bubz recommended it because it made her face a bit slimmer, so it made me curious and bought it xD. Do you think that it really works? Where did you bought it? I've been looking for this type of roller ever since I saw bubz's video lol. Please let me know! This is for the face. I bought another face massager, similar but without the "balls" XD and I am using it just to improve my blood circulation and to prevent wrinkles. 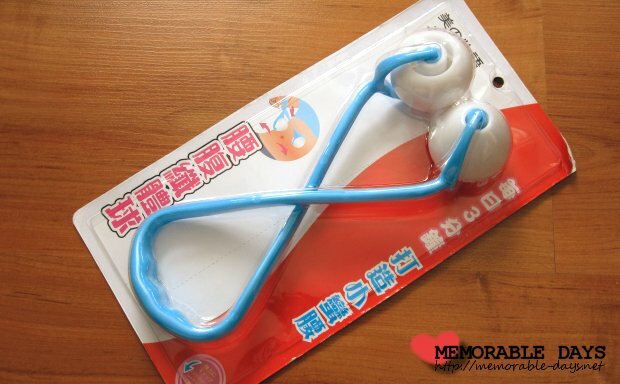 Some doctors say that facial gym works, maybe the massager can emulate the gym process. hmm,, it does looks very similar, but i can remember on bubz blogtv that it's the same roller that I bought. 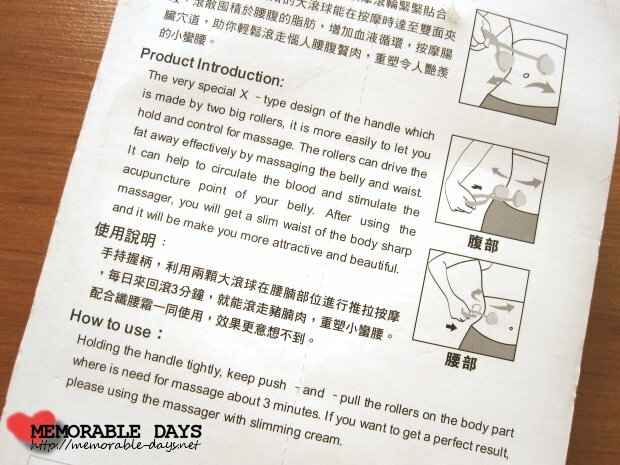 The end of the roller is slightly different than the one you showed... but ah well.. apparently you can use this massage roller for your face, waist and belly xD lol..
klinkt goed klinkt goed!! haha, ik probeer dit ook elke dag te doen =p hopelijk ga ik ook effect zien na een tijdje xD hoe lang is ze al bezig? haha, why don't you buy one :D ? My left is paining does this mass angers will give relief.